It's done! It's uploaded! I'm finished! Are you impressed!? I am...with one week to spare before April! haha! Each pack comes with different menus to use with your students, or just for you to plan! Since my centers need to be standard-aligned, when it comes time to write in my planbook, easy peasy! 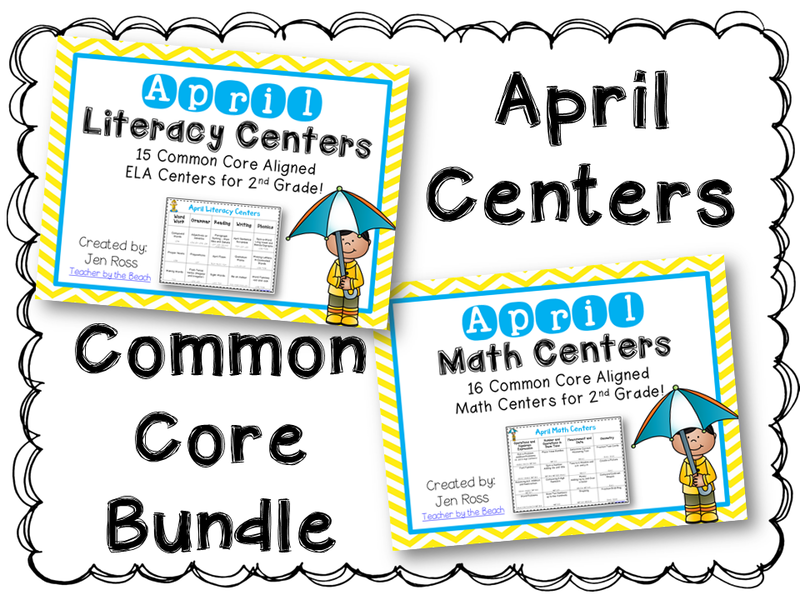 And here's what's included for the Math centers. Go take a look at my TpT store- they're on sale with all of my other Spring Packs for just a little while longer! Already bought, but having trouble opening. Love all things Jen Ross!